In 1962 Dr. Martin Luther King, Jr. was visiting Terrell County, Georgia to speak at Mt. Olive Baptist Church. The church had recently been burned down by the Klu Klux Klan. As part of the service Prathia Hall, a young college student, who was volunteer with SNCC (Student Non-Violent Coordinating Committee) was invited to pray. Hall was the daughter of Rev. Berkeley Hall, a Baptist minister and was known for her oratory skills. Through her prayer, she shared her personal vision of what she hoped for the future of Black Americans. In her prayer, she used the phrase, “I Have A Dream” many times. Dr. King was very impressed with Prathia’s prayer. In particular, he admired her use of the phrase, “I Have A Dream”. As ministers often do, King would later incorporate “I Have A Dream” into some of his own speeches. By late 1962, the phrase was reported to have been a regular part of King’s sermons. The phrase also became popular due to its use during 2 historic 1963 civil rights marches by Dr. King; “Walk To Freedom” march in Detroit and the “March on Washington” in Washington DC. Prathia Hill grew up in Philadelphia. Her father, Reverend Berkeley Hall, was a passionate advocate for racial justice. She left her college studies at Temple University to join other college students who were traveling to the south to advocate for civil rights there. 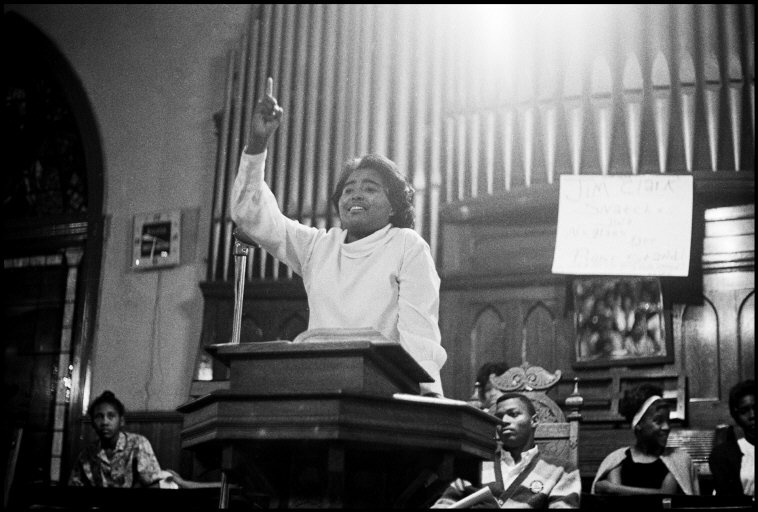 Prathia was active in the Student Non-Violent Coordinating Committee (SNCC). She eventually became one its first women field leaders in southwest Georgia. Prathia would later go on to become a preacher, and pastor. After her father’s death, Prathia accepted the call of Mount Sharon Baptist Church in Philadelphia to come and pastor the church her father once pastored. Prathia later enrolled at Princeton Theological Seminary and received a Ph.D in ethics. Prathia Hall died on August 12, 2002, following a long illness. Of Prathia Hill, Dr. King is quoted as saying, “Prathia Hall is the one platform speaker I would prefer not to follow”.